I pride myself in obtaining as much skill, accuracy and beauty in my art. I also use my work to help many wildlife conservation causes across the world. March 21st and 22nd 2015 – Royal West of England Academy/Bristol Drawing School. “How to Paint a Butterfly”. More details soon. This sketching workshop is for all skill levels and for those who love insects and want to find out more about their fascinating anatomy. Using microscopes, participants will discover insects’, diversity of colour, form, and shape…..In short, it is designed to celebrate their hidden world. …Cath’s courses are totally unique and completely absorbing. Do come along and enter a fascinating and unseen world……More details to follow. 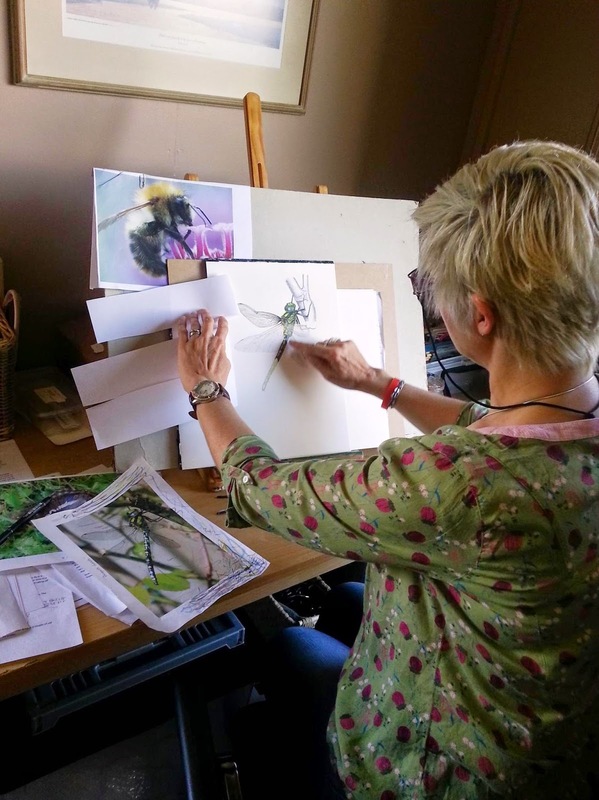 18th and 19th April 2015 – Slimbridge Wetlands Trust – “Painting and studying Insect Lifecyles” - The process of metamorphosis is an amazing biological feat. This two-day course will study this process in all its beautiful and mystical detail and then use the medium of art to produce a unique and detailed piece of natural history painting. An art course tutored jointly between Cath and RHS Gold Medal winning Botanical Artist, Julia Tricky. 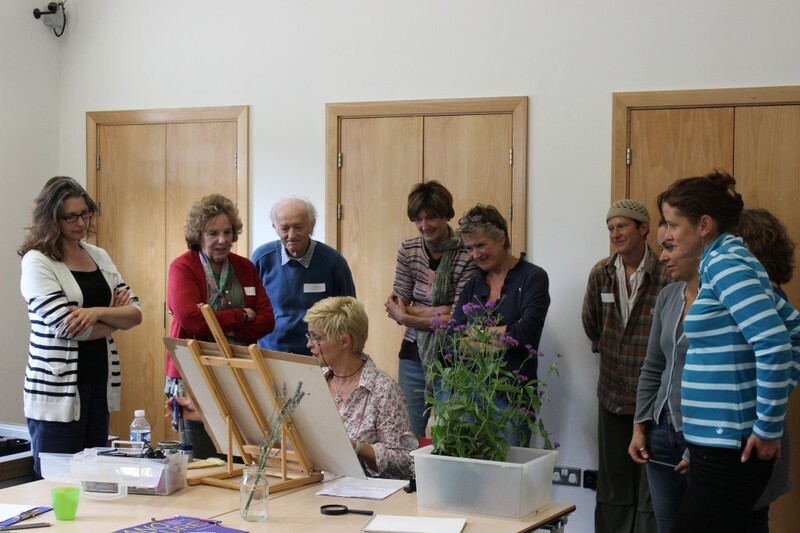 Cath and Julia invite you to come and push the boundaries of Botanical Art, by spending time with each artist studying and drawing both flowers and their pollinators. This course is mixed media, with your choice of pencils, pen & ink and watercolours or coloured pencils – A materials list will be provided. “July 10th 2015, Friday 2015 – Slimbridge Wetlands Trust - “Beautiful British Bees – Paying homage to the hidden detail of bees using art”. Where would we be without pollinators and particularly bees? This sketching course will use microscopes and beautiful specimens to study the hidden anatomical beauty of bees and will then use art to pay homage to them by producing a unique and intricate sketch. Something very special and totally unique. More details to follow……..
Tate Galleries ask me to comment on their Insect Art for National Insect Week. 23–29 June is National Insect Week, a bi-annual celebration of all-things creepy crawly.....Click to see my comments on 12 pieces of artwork in either The Tate Modern or Tate Britain, that feature insects. 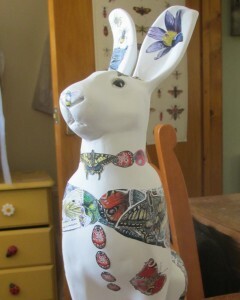 http://www.tate.org.uk/context-comment/blogs/pictures-national-insect-week ......so pleased to be asked and great fun to do! "Reviled or revered, how do artists who feature in Tate’s collection, treat these mysterious minibeasts? Wildlife and Natural History artist Cath Hodsman explores this question within the captions of her handpicked slideshow." Just completed another Countryfile magazine commission for their July 2014 edition. 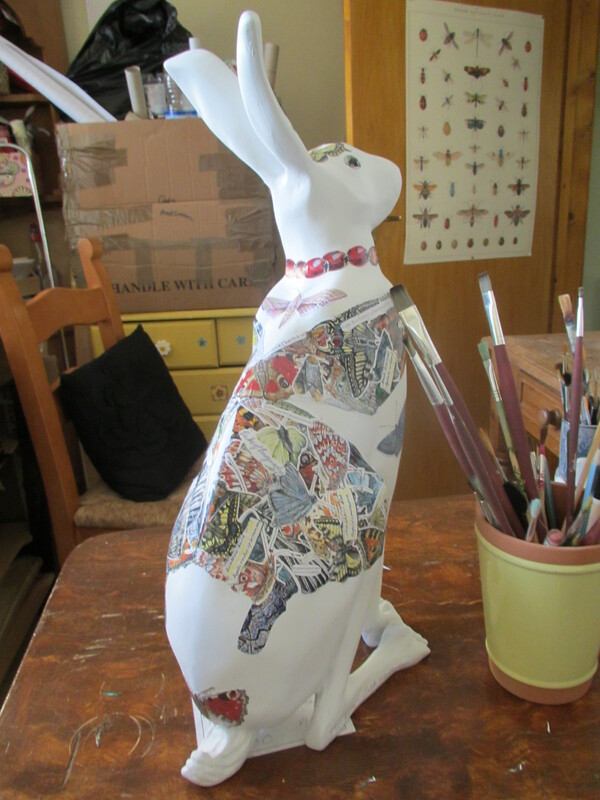 I was so pleased to be asked to take part in the wonderful community project, The 2014 Festival of the Hares in Cirencester. This is “Mariposa”, my bright and breezy butterfly hare, featuring decoupage of all of my butterfly and moth paintings……Auction proceeds in October 2014 will be donated to Butterfly Conservation. So chuffed!! The Natural History Museum, in London are dedicating a Spotlight page to my work!! "White tailed Bumble Bee and Papaver orientalis". 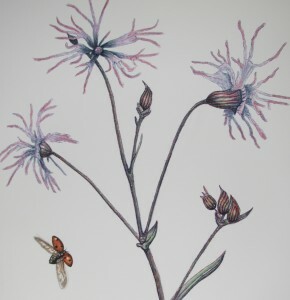 One of my watercolour studies that they have chosen for the Spotlight Page. Me and lovely participants at a course I ran this Summer at Stratford Museum in the Park. I am now well ahead of organising painting and sketching courses for 2014......Lots of variety of subject and medium. They are all set in fab venues......... from wetlands to beautiful historic gardens. If there is anything that you like the look of, please get in touch or give me a ring to have a chat. 7th February 2014 - 9.00 a.m – 1.00 p.m - ” A Microscopy Taster Session…..” - A unique chance to see into the secret world of Lepidoptera and other Invertebrates. A joint venture between Butterfly Conservation and Cath. 50% of all course proceeds will be donated to Butterfly Conservation. 25th April 2014 - "How to Paint a Butterfly" - WWT Slimbridge This water colour painting day is a unique and absorbing course aimed at both lovers of painting and of entomology, especially butterflies! You don't have to be an expert at either, but you need to be fascinated by both! 6th June 2014 - Painswick Rococo Gardens, The course is called "Beautiful British Bees" A painting and microscopy course. Click on the links for more information. 11th July 2014 - "How to paint Dragonflies" - WWT Slimbridge This water colour painting course will pay homage to one of the oldest and most mysterious insects - dragonflies and damselflies. Stunningly beautiful and awesome hunters, participants on this course will study this insect in all of its glorious detail and beauty, whilst producing an intricate and unique water colour painting. Friday 3rd October 2014. 9.00 - 4.00 - "How to Paint Lepidoptera" A water colour painting day - A joint venture with Butterfly Conservation - 50% of all course proceeds to go to this great conservation group. This course is aimed at Lepidoptera experts who would like to learn how to pay homage to these wonderful insects through the medium of art. I had such a busy Summer. My Artist-in-Residence at Slimbridge was so enjoyable, that Slimbridge and myself are keeping our connection going. My relationship with Painswick Rococo Gardens begins with a spell as Artist-in-Residence from 10th - 16th February, during their ever popular snowdrop season. I am really looking forward to this. 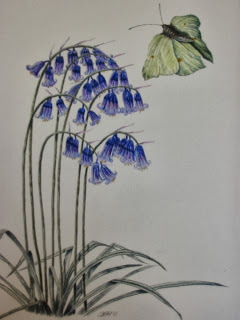 My theme for the week will be"New Beginnings" as the season wakes up after the winter and I plan to paint a collection of early emerging British butterflies and moths.....hoping for twenty in the study....that will keep me quiet!! 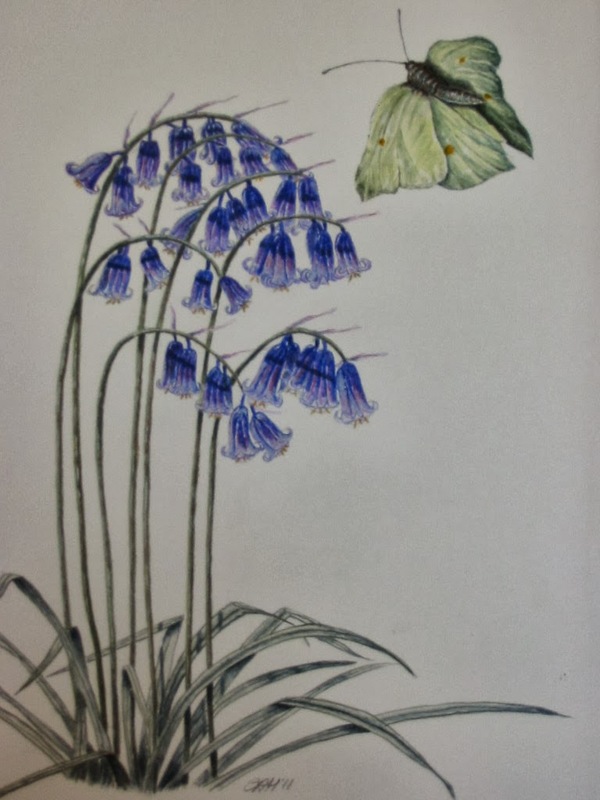 This is a watercolour study I did of an early emerging butterfly - the gorgeous Brimstone (one of my favourites) on one of its favourite food sources, Bluebells. Did you know that it is commonly believed that the term "Butterfly" comes form this wonderful butter-coloured butterfly?? I am a Cotswold - based wildlife and natural-history artist,who's special interest is indigenous plants and animals, but specifically our insects. I provide artwork to The Natural History Museum, London; the internationally renowned Wildlife Art Company; Oxford University, Museum of Natural History and other specialist wildlife and natural-history venues. I am also a member of the Amateur Entomologists' Society, The Bristish Myriapod & Isopod Group, Glos Wildlife Trust and Butterfly Conservation. I exhibit my work at various exhibitions and also sell my prints at relevant outlets such as Nature in Art, Stratford Park Museum and the Edward Jenner Museum. I also work with organisations, to help raise the profile of conservation and preservation. In the past I have supported the work of groups like Buglife, Plantlife and The People's Trust for Endangered Species. My work,mainly in watercolours, is of an illustrative nature, but with a modern twist, designed to appeal and inspire a wide audience. A busy and enjoyable Summer at WWT, Slimbridge.